All INGLESIDE INN TR 1 BLK E, homes currently listed for sale in Phoenix as of 04/20/2019 are shown below. You can change the search criteria at any time by pressing the 'Change Search' button below. 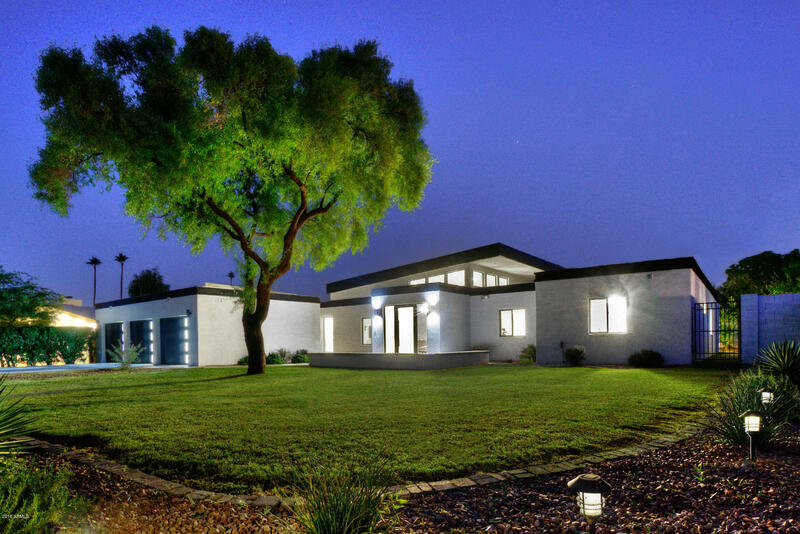 "A refreshing mid-century modern 2018 full-remodel and partial rebuild in the highly desirable Arizona Country Club Neighborhood. The developers carefully designed the home with entertaining and space in mind. An architecturally appealing center floating roofline was created to provide soaring ceilings accented with clerestory windows creating expansiveness to the main living areas of the great room and kitchen. The natural light floats from the windows throughout this space connecting the ins"